Making your own hummingbird nectar can seem like a chore if you have to mix up a new batch frequently to constantly refill feeders. It may seem easier to simply pour out ready-made nectar, shake up a bottle of nectar mix, or quickly dilute a commercial hummingbird nectar concentrate. There are many great reasons to make your own nectar, however, and because this critical hummingbird food is easy to make, there's never an excuse not to make it from scratch. Homemade nectar is better for the birds, and once you learn how to make it, you'll never rely on commercial mixes again. The desire to offer hummingbirds pure, healthy nectar is one of the top reasons why many birders prefer to mix their own sugar solution. Commercial nectars often have unnecessary flavorings, red dyes, and preservatives. While there have not been extensive studies to determine whether these chemicals are positively harmful, they are not needed to nourish the birds or attract them to feeders. A simple homemade nectar solution will not introduce any unknown or potentially harmful substances into hummingbirds' diets. Hummingbird nectar is simple to make with only two ingredients: sugar and water. Plain white table sugar and tap water are perfectly acceptable, and when mixed in a 4:1 water to sugar ratio, very closely approximate the natural sucrose level of flower nectar that hummingbirds sip. There is typically no need to boil the nectar while making it, as hummingbirds contaminate the nectar as soon as they sip it anyway. Just cool the nectar and fill the feeders. 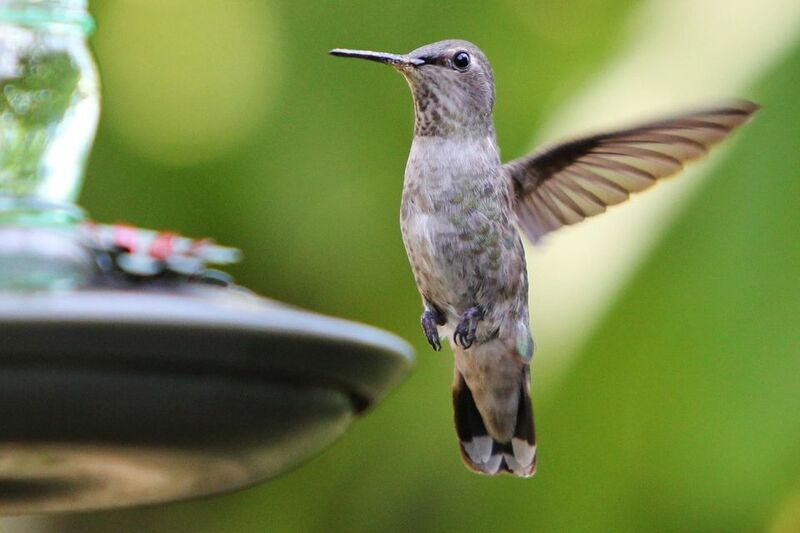 While the basic hummingbird nectar recipe is ideal for most hummingbirds and closest to natural nectar, adjusting the sugar concentration for a stronger, sweeter drink is very easy. A slightly stronger nectar solution can provide greater energy during migration when birds need to build up their reserves, or it can be useful for overwintering hummingbirds that require more energy to stay warm in poor weather. In cold weather, a stronger nectar solution will not freeze as quickly, ensuring there is plenty of food available for chilly hummingbirds. Feeding wild birds can get expensive when you are purchasing different types of seed, jelly, suet, nuts, and other foods for a wide range of species. A gallon of hummingbird nectar can be made at home for just a few pennies, while the same amount of commercial nectar, either as a concentrate, powder, or ready-to-use liquid, can cost several dollars. That savings can help you buy another hummingbird feeder, refill your other feeders more often, invest in a new birdbath, or do many other things that can make your yard bird-friendly as well as budget-friendly. If you don't have room in your refrigerator to store excess hummingbird nectar to keep it fresh, purchasing commercial nectar can be a waste since you may not use it all before it needs to be replaced. If you make your own nectar, however, you are able to make only the exact quantity you need to fill your feeders, whether you have one small feeder or a dozen large ones. You can still make extra nectar to store if desired, but it can be just as easy to make only what you need each time you refill your feeders. If you take the time to make your own hummingbird nectar, you can use the opportunity while the sugar is dissolving or the nectar is cooling to clean your hummingbird feeders. This will help you keep the feeders safe for feeding hummingbirds, without immediately contaminating the nectar with leftover residue from spoiled solution. Regular cleaning also ensures the nectar flows freely to all the feeding ports, making it easier for the birds to feed safely. Depending on where commercial hummingbird nectar is available in your area, you may not be able to purchase it early enough in the spring or late enough in the fall to feed migrating hummingbirds. These are exactly the times when hummingbirds need extra food the most. Instead, if you make the nectar yourself, you can always have it on hand for early spring migrants or late fall stragglers, without taking the chance of running out or being forced to use old nectar that is leftover after a long summer. 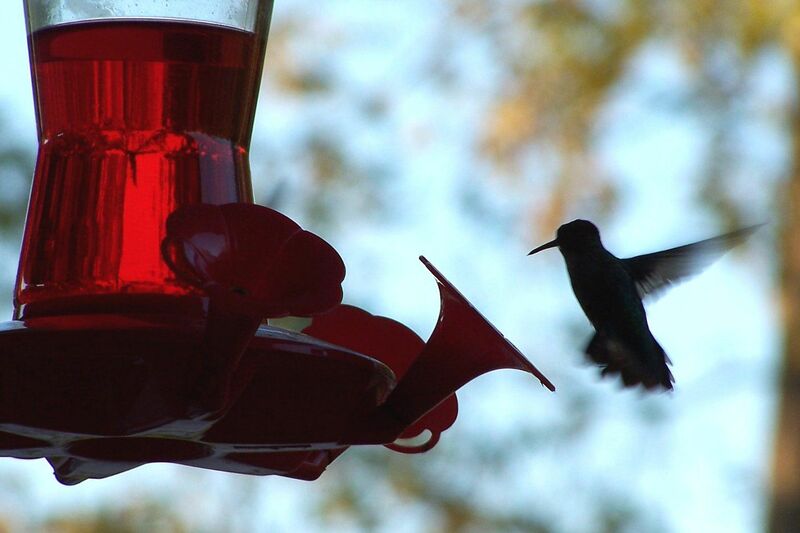 The very best reason of all to make your own hummingbird nectar is to attract these flying jewels to your yard. Birds are attracted to reliable, nutritious food sources, and if you keep your feeders filled you will be able to provide them a constant source of sweet nectar, no matter what flowers may or may not be blooming nearby. If you feed them, they will come!